17 Great Women Composers You Need to Know. Chief t**t, I’m sorry chief classical music critic at the New York Times Anthony Tommasini just published a book of the 17 greatest composers ever. The entire list is comprised of the usual suspects of long dead white male composers: Monteverdi, Bach, Handel, Haydn, Mozart, Beethoven, Schubert, Chopin, Schumann, Verdi, Wagner, Brahms, Puccini, Debussy, Stravinsky, Schoenberg and Bartok. Rounded? Omitting every female composer and composer of colour? Hmm. Also “at its peak”, really? The most recent composer on there died nearly 50 years ago, so what? Classical music has been declining ever since? Such a terrible way to sell classical music, a genre which like every other is living, breathing and evolving constantly to create new and exciting music. I’m sick of the utter white patriarchy of the classical music industry so here is my own list of 17 indispensably great composers to counter Tommasini’s and they all happen to be women, each with an amazing composition to check out. (Disclaimer: This is just 17 amazing composers, there are so many which I couldn’t include, so it’s just a starting point, not a definitive list with specific rankings). Florence Price mixes African American spiritual and American folk idioms with Western classical music. The first African American to have a symphony performed by a major orchestra in 1932 with Symphony in E minor. She also wrote over 300 pieces including orchestral suites, string quartets, solo piano and choral music. Composer and suffragette, she was made a Dame Commander of the British Empire in 1922, one of the highest honours in the UK, and the 1st female composer to be awarded the honour, I think that makes her pretty great. Wrote 6 operas, a ballet, orchestral suites, string quartets, and violin concertante. The Mass in D was written in 1893. Inter war composer, child prodigy and conductor. 1st woman composer inducted to the Czech Academy of Sciences and Arts. (Posthumous appt in 1946, she was 1 of only 10 woman inducted up to that point). Contemporary of Martinu, she guest conducted Czech Philharmonic and BBC Symphony Orchestra playing her own Military Sinfonietta, written in 1937. Also wrote songs, string quartets, orchestral Suite Rustica, April Preludes for piano. Grew up downstairs from her piano teacher Haydn and became good friends with Mozart. 1st woman to be admitted to the Accademia Filharmonica of Bologna, society to which Mozart also belonged She was at the centre of the classical music scene in Vienna. Ran an influential salon which everybody who was anyone attended. Wrote tons of amazing music including Dixit Dominus, oratorios, keyboard sonatas and an orchestral Sinfonia. The aria Berenice ah che fai is set to a text of Metastasio, famous librettist back in the 1700s. One of the first professional virtuoso pianists of the 19th century. Also ran an influential salon and toured all over Europe. Wrote mostly piano pieces, lots of cool nocturnes and etudes long before Chopin turned up later in the century. Prolific Baroque composer of secular vocal music. Ina led a sheltered life in Ireland but took lessons from Vaughan Williams. She composed 2 symphonies, orchestral rhapsodies, an opera, ballets and choral music. Only female member of Les Six, the Parisian group of composers that included Poulenc and Milhaud, plus she was good friends with Ravel. She wrote masses of music including music for radio, film and TV when they came along. Played about with different instruments including oboe, clarinet and violin. Lots of dreamy modernist chamber music including this Concertino for harp and piano. 1st American woman to compose and publish a symphony. Beach’s Gaelic Symphony premiered in 1896 with Boston Symphony Orchestra. Child prodigy pianist, she also wrote a piano concerto and over 100 songs. Member of the Boston Six with Edward Macdowell. Romantic composer – Associate Director of the Berlin Opera Academy. Wrote 8 symphonies, cello sonatas, piano trios and Faust Overture, written in 1880. Russian composer influenced by Russian and Mari folksongs. Prolific composer, wrote 1st modern symphony in Croatian music with Symphony in F sharp minor in 1917. Other works include a piano concerto, songs and chamber music. Classical music history makes it look like there were no English composers in the 200 years or so between Thomas Tallis and Edward Elgar. Alice Mary Smith falls into that supposed void with 2 symphonies, vocal music, concert overtures and clarinet music. Her Andante for Clarinet is the only piece by a historical woman composer being played by the London Philharmonic Orchestra this season. First woman appointed as Master of the Queen’s Music in 2014. Known for choral music and operas. Composer of film, video games, TV and straight up classical music. 1st Chinese woman to receive an MA in composition from Beijing Central Conservatory of Music, Pulitzer Prize finalist. Written for a variety of mediums including concert band. 1st woman ever to conduct the Proms in 1984. Founded Lontano Records to champion music of living composers, women composers and Latin American composers. Fellow of Royal Academy of Music. There we are, just a tiny fraction of amazing composers who deserve greater recognition. Hopefully this will be a good jumping off point to discover a broader range of music beyond the dead white males that currently fill the concert halls and airwaves. Again this was not a ranking, just a list of 17 like Tommasini’s for conceptual symmetry, in no particular order. 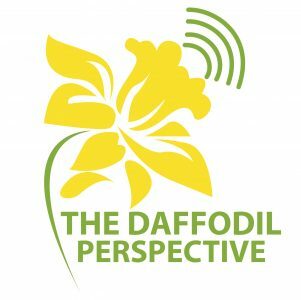 Listen to my weekly radio show The Daffodil Perspective to hear more brilliant composers, over 50% of which are women. I discuss their lives, music and context in standard classical music history.